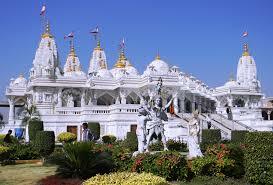 Here is Some Information about BAPS Swaminarayan Temple in Bhuj Gujarat India. 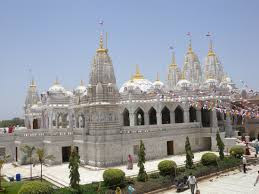 BAPS Swaminarayan Temple is Located in Bhuj Kutch Gujarat.The Temple is Built in 1907 by Shri Shastriji Maharaj.The temple is spread in 35000 Sq.Ft .The temple is dedicated to Lord Swaminarayan.The Swaminarayan Temple was set by the BAPS, Bochasanwasi Akshar Purushottam Swaminarayan Sanstha as it is known. 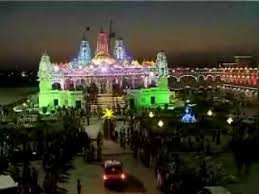 BAPS is an organization which operates by the philosophies of Swaminarayan.In this temple Lord NarNarayan Dev himself asked Vaishnavanand Swami to construct the temple for him in Bhuj after seeing his devotees has been increased in the city. 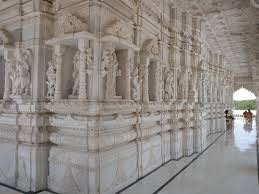 The temple also contains sixty four more idols apart from NarNarayan Dev including Hanumaan, Shiv Parivaar and Raam Parivaar.The Swaminarayan Temple of Bhuj is recognized for spiritual value, social work and the humanitarian service that they offer to the world. As all other temples that operate under BAPS, Swaminarayan Temple in Bhuj is also known for the beautifully carved stone temples. 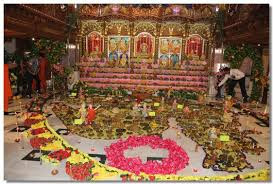 The temple also houses the idols of Radha Krishna, Ghanshyam, Sukh Shaiya and many other deities. On the pillars and ceilings of this temple complex numerous carvings have been made. There is an idol of Narnarayan Dev in the temple also which was established by Swaminarayan. The History says that Shri Swami Narayan went to Gadhara to attend the famous fuldol festival where Shri Swami Narayan was also present. One of them requested him to construct a temple in Bhuj and he was really pleased to hear it and asked Vaishnavananand Swami to construct a temple there, so in 1823 the temple was constructed by Lord Swaminarayan.but was destroyed in the 2001 earthquake that ravaged the city.The new temple was built on the banks of Hamirsar Lake, a short distance from the old temple. The Swaminarayan Temple, Bhuj, is an architectural marvel and attracts devotees from not only India but the world. The temple standing on a grand podium and facing east has been completely built of marble and gold. The temple standing on a grand podium and facing east has been completely built of marble and gold. It is spread over an area of 35000 sq feet and has 7 sikharas along with a main dome. The temple also has 25 minor domes and 258 pillars all made of marble of highest quality mainly Makrana and Ambaji. Each and every pillar has some sort of engravings done on them, the main theme being Hindu Gods which adds to the beauty and divinity of the place. The throne for the idol of Swaminarayan, the temple domes and doors are made of gold while the pillars and ceilings are made of marble. The idols kept in the temple are the same ones that were kept in the old temple but miraculously survived the earthquake. Besides the main temple, several other tourist attractions are located in the complex. There is a temple for ladies that allows up to 1000 females to sit and pray at the same time. The complex also houses the Sant Nivaas that was built as a place for mediation for 200+ saints and also provides them with residence. The Bhojan Hall allows for 300 VIP’s and over 2000 commoners to sit and have food. Then there is the Sabha Mandap that permits around 1500 people to sit and listen to religious discourses throughout the day. 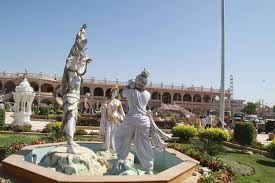 By Road : There are Private and Public vehecals available to reach BAPS Swaminarayan Temple Bhuj . By Rail : The Nearest Railway station is Bhuj Railway station. By Air : The Nearest Airport is Bhuj Airport.